Cycling is undeniably a good physical activity for kids. It improves cardiovascular fitness, helps reduce stress, strengthens bones, and curbs obesity—the ideal training package for raising smart, strong students. However, interestingly, statistics show that only 1 to 3% of children in the UK are biking their way to schools. The root of the problem is parental anxiety. Parents are simply worried about letting their kids bike to school and would rather drive for them in cars. It is a missed opportunity for improving children’s physical and mental well-being. The good news is that educational institutions can do something to ease such anxieties. It just has to start with understanding what exactly makes parents uneasy about letting the kids bike to school. There are just a lot of hazards on roads, from large buses and construction projects to irresponsible, drunk drivers. Kids are prone to injuries and accidents when they are on the road. However, there are a lot of ways to make roads safer for children. For instance, you can ask help from the local government in dispatching traffic management officers in the morning and when kids go to school and go back home in the afternoon. You can also draft a biking route, away from vehicle-filled roads. Give the parents and the children copies of the map. Perhaps you can also work with neighbourhood watch groups in monitoring such bike routes. While you are making your community bike-friendly, do not forget your own campus, too. Consider installing bike shelters provided by companies such as Kensington Systems Ltd in the UK. This will ensure that the students’ equipment is safely stored. 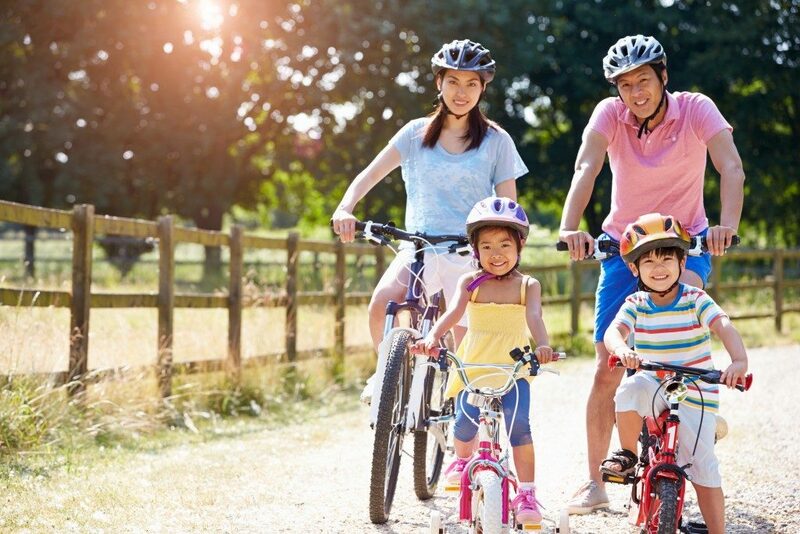 Kids can easily fall prey to criminals when they are out on the streets, so it’s understandable for parents to feel deeply concerned about letting their kids bike on their own. However, if one looks at this more closely, stranger danger can happen just about anywhere. It is impossible for parents to monitor their kids every minute. Thus, the fix here is not to keep kids off the streets but to give them the skills in staying safe on the streets. Organise stranger danger workshops and train kids to be discerning when someone they do not know approaches them. Assign a bike group in which each student will bike to school with a bunch of other students. Criminals are less likely to attack in such situations. Also, with a group, there is a sense of looking out for each other’s welfare. This can easily put parents at ease. In other instances, it is the lack of experience of kids that makes parents discourage biking to school. Of course, how can you let an amateur biker roam the streets and trust that they will be able to get to school uninjured? Better to just drive, drop, and pick them up later, right? But this problem can easily be addressed by your physical education curriculum. Train your students to bike in your PE classes and let their parents know about it. Try the biking routes you have laid out. Encourage the children to go biking with their classmates on weekends. Just let them practice, practice, and practice. Biking has tons of health rewards for students. Do not let them miss out on such. Reassure parents about the safety of cycling to school by addressing each of their anxieties.